Leicester City contest their third consecutive game against top six sides when they head to London to face Tottenham Hotspur on Sunday (1:30pm GMT kick-off). Leicester looked threatening against Manchester United last Sunday. If they can repeat that performance and find the finishing touch in front of goal, they could come away from Wembley with all three points. Spurs are still without some of their key men so now is the best time for the Foxes to raid Wembley for three points. They’re priced at 4/1 to bag the win. Claude Puel won’t want to come away from another decent performance without a point, so picking up a draw is the minimum they’ll be looking to achieve. That’s 14/5 with our traders. The Leicester/Draw Double Chance is sat at 23/20. City have been good on their travels this season and pick up more points away from King Power Stadium. Playing at Wembley could play into their hands although it’s likely to be a close encounter. A 1-0 Leicester win is 14/1. In the same fixture last year, both sides were involved in a nine-goal thriller. If you think this tie has high scoring encounter written all over it, then you can get 16/1 for a Leicester win with over 3.5 goals. Think the game is likely to end up in a high-scoring draw? In that case, it’s 11/1 on over 3.5 goals in a draw. Jamie Vardy is a big game player, and his record in games against the top six speaks for itself. In 49 appearances against the league’s top sides, he’s netted 31 times. Fancy Vardy to open the goalscoring? He’s 13/2 to do so, or 21/10 to add to his tally anytime against Spurs. Harry Maguire bagged the equaliser against Liverpool, and is already having his best goalscoring season in the Premier League. He’s netted three times already, and if you think he’ll add to his tally against Spurs, he’s priced at 15/2 anytime. 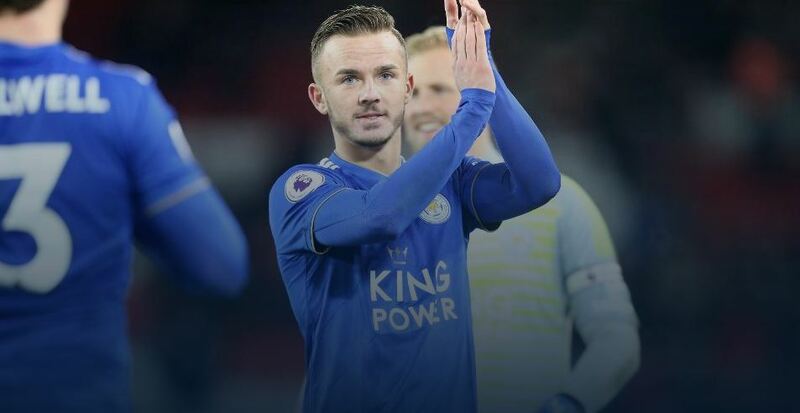 Harvey Barnes and James Maddison have both been livewires in the Foxes side recently. They’re priced at 9/2 and 10/3 to score anytime respectively. Right-back Ricardo Pereira has shown he can make an impact this season with two goals and four assists already. Will he bag his third league goal? That’s priced at 9/1.